The holidays are a challenging time for many of us when it comes to healthy eating. Luckily, there are ways we can still enjoy ourselves and stay on track with our nutrition plan. The first step is to make a plan and stick to it. If you plan to have a glass of wine with your holiday meal then do it, enjoy it, just have the one glass, and don’t waste energy on guilt or regret before getting right back on track the next morning. It is also helpful to take the perspective that just because a certain dish is “tradition” doesn’t mean you don’t have the power to decide to enjoy your holiday without it- that pecan pie your aunt always makes sure would be tasty, but it often is not worth the mental agony and digestive upset that it may provide. Make new traditions, enjoy the aspects of the holidays unrelated to food- the joy of family, community, support, changing seasons, football, laughter, etc. When it comes to holiday food, there are often plenty of low carb to choose from. Turkey, ham, duck, or any other meat are good options for the protein source. Green veggies like green beans, asparagus, brussels sprouts, leafy green salads, etc. make excellent sides. Skipping the stuffing, potato dishes, and being very light with the gravy (often made with flour) are keys to staying on track with your keto plan. If you have the option to make your own mashed cauliflower or roasted turnips, you could enjoy a safe alternative to the traditional starchy sides. You could even make your own low carb pumpkin pie or vanilla cheesecake. 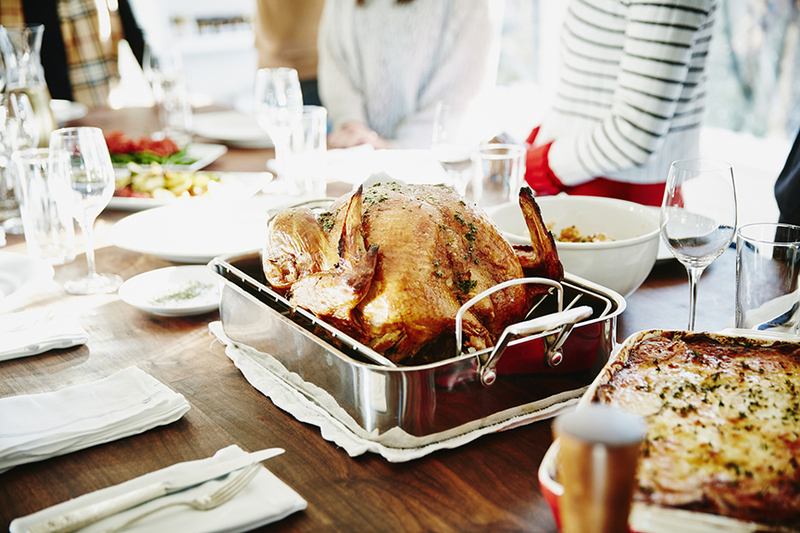 Christmas and Hanukkah food traditions vary greatly among families, but some of the same tricks from Thanksgiving would apply to these holiday dinners. For breakfasts it is easy to stick with delicious egg dishes like frittatas or Shakshuka (eggs poached in spicy tomato sauce-yum!). Remember, you always have the choice and the decisions you make pave the path toward your health goal- don’t let holiday eating de-rail you on your journey!